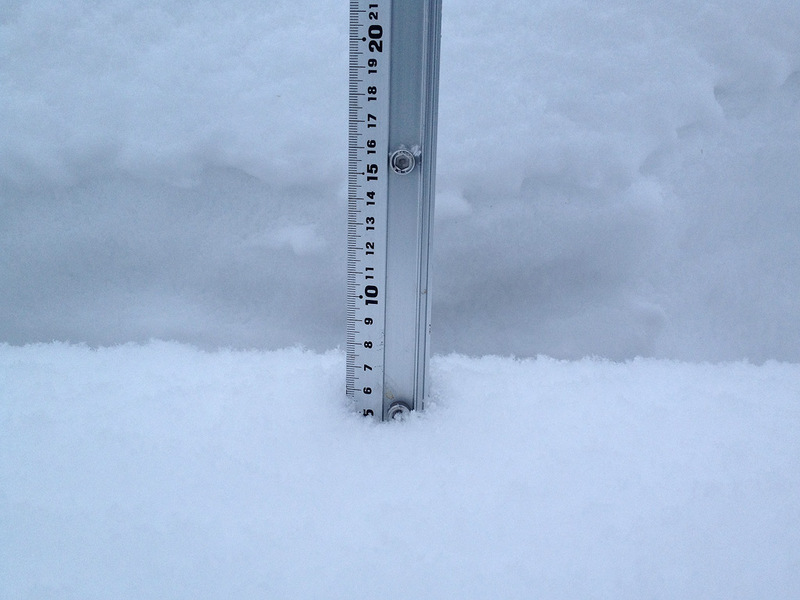 *5cm of fresh snow as fallen in the last 24hrs in Hirafu Village. At 07:20 today the temperature was -5°C. This morning beautiful large flakes of snow are falling lazily out of the grey sky which means one thing….minimal wind! Yesterday the upper half of the mountain was closed all day due to strong winds so with yesterdays 8cm and today’s 5cm there will be some great powder stashes up for grabs. There has not been enough snow for a total reset so remember to ride well within your limits as there will be icy sections lurking just below the surface of the fresh snow. Have fun!